Is your face showing its age a bit more than you would like? Is your lifestyle making you look older than you are? Do you want to be one of those people who retain a healthy, youthful look throughout your life? If you are looking for a natural way to keep your face looking young, then The 15 Minute Fix: FACE - Exercises To Keep Your Face Youthful and Healthy will help. This book will teach you how to use facial exercises to make your skin smoother, firmer, and healthier without the risk and plastic look of invasive procedures. 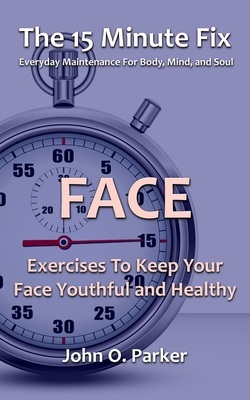 The 15 Minute Fix: FACE - Exercises To Keep Your Face Youthful and Healthy is available in print and as an eBook (optimized for easy viewing on a smartphone). Curious? Submit your email and I'll send you 5 free exercises from The 15 Minute Fix: FACE. FACE - Facial exercises to help erase wrinkles, improve skin tone, and help you look younger in just 15 minutes a day.